Peace Day 2010 will be marked globally on September 21, and a special concert will be held in Paris in the days leading up to the event. Peace One Day will hold its annual concert at Le Zénith in Paris on September 17. 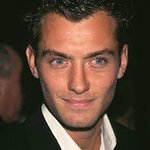 Hosted by Jude Law and Sharon Stone, the concert will feature Patti Smith and Youssou N'Dour, as well as Charlie Winston, Ayo and Vanessa Paradis. World Peace Day has been held on September 21 annually since 2001, when the United Nations General Assembly unanimously adopted September 21 as a day of global ceasefire and non-violence. The initiative came from an idea by Jeremy Gilley, who founded his non-profit organization – Peace One Day – in 1999. Over the years POD has been fortunate to have the support of incredible artists and 2010 is no exception. Peace One Day’s annual celebrations are there to raise awareness of Peace Day, reaching not only those present on the night, but also an international TV and online audience. As well as being a musical celebration of Peace Day, these events are an opportunity to thank all our supporters, highlight some of the extraordinary Peace Day activities from around the world and make key announcements for the coming year. To find out more about the concert, visit the Peace One Day website.